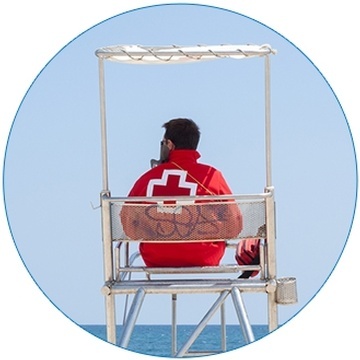 Earn all the awards you need to become a Certified Lifeguard in one course at an accelerated pace! As personal protective equipment (CPR mask and gloves), whistle and basic first aid kit are required for use and evaluated in these programs, they have been included in the course cost and will be issued to each candidate on the first class along with the required texts, The Canadian Lifesaving Manual, Bronze Medallion & Cross Workbooks, Canadian First Aid Manual and the Alert Manual. NOTE: The above course takes place at Camp Tamarack so skills will be performed in the lake.